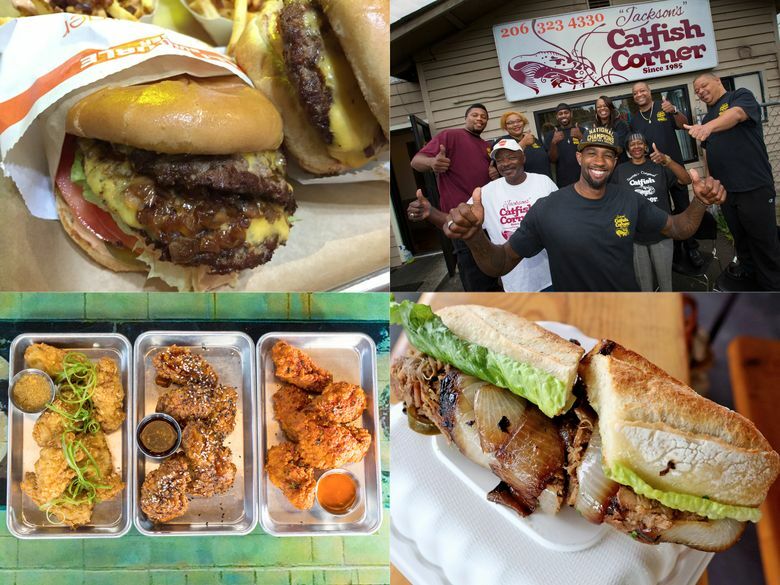 It’s a new year — and some of us might be feeling a little underfunded after the holidays — so it’s time for a fresh batch of the best Seattle-area cheap eats. Get full for under $10 at most of these restaurants. It’s a new year — and some of us might be feeling a little underfunded after the holidays — so it’s time for a fresh batch of the best Seattle-area cheap eats. And because our restaurant scene is blowing up, we found twice as many worthy new options as we did in 2014. You’ll get happily full for under $10 at most of these (at a few, you might spend a little bit more). Let’s eat, for cheap! Is this Seattle’s best fish taco? Arguably so (and the shrimp ones are even better). This next-door sibling of beloved Georgetown spot Fonda La Catrina focuses on wild-caught fish and local produce, with outstanding results. The setting’s nice enough for a grown-up date, as are the excellent cocktails (and it’s technically a bar, so no kids allowed). (5901 Airport Way S., Seattle, 206-767-2787 or elsirenito.com) B.J.C. Paseo reopened in early 2015 under new ownership, and thus Seattle’s most famous sandwich rides again. The recipe wasn’t part of the deal, but the revived version, created with original employees’ help, is just as messy — and some say just as good. (4225 Fremont Ave. N., Seattle, 206-545-7440 or paseorestaurants.com). B.J.C. From the sons of the original owner of Paseo, this nearby sandwich shop has a familiar tropical-pink paint job and a likewise Caribbean roast-pork sandwich. Is the marinade’s flavor more nuanced? Is the sandwich better? Only your mouth can tell you. (7302 15th Ave. N.W., Seattle, 206-588-2040 or unbienseattle.com) B.J.C. 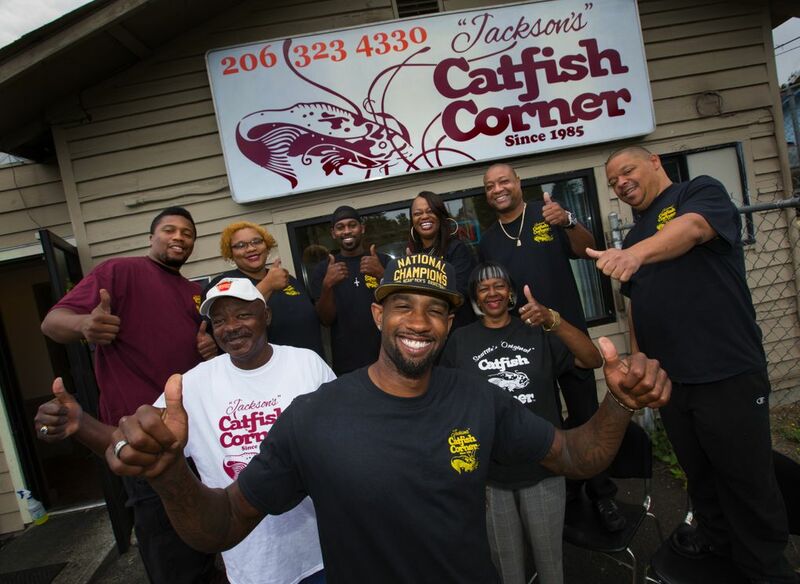 The year 2015 marked the glorious resurrection of longtime soul-food favorite Catfish Corner, now in Rainier Valley, in the loving hands of the original owners’ grandson. Marshawn Lynch likes it, and you will too. (7216 Rainier Ave. S., Seattle, 206-323-4330) B.J.C. It didn’t hurt that world-renowned chef José Andrés ate here and tweeted about it. This subterranean space in Pioneer Square elevates rice porridge by dressing it up with cured egg yolk, five-spice duck confit and pork belly adobo, but don’t miss its Filipino twist on pork-belly buns. (88 Yesler Way, Seattle, 206-748-9999 or krakencongee.com) T.V. 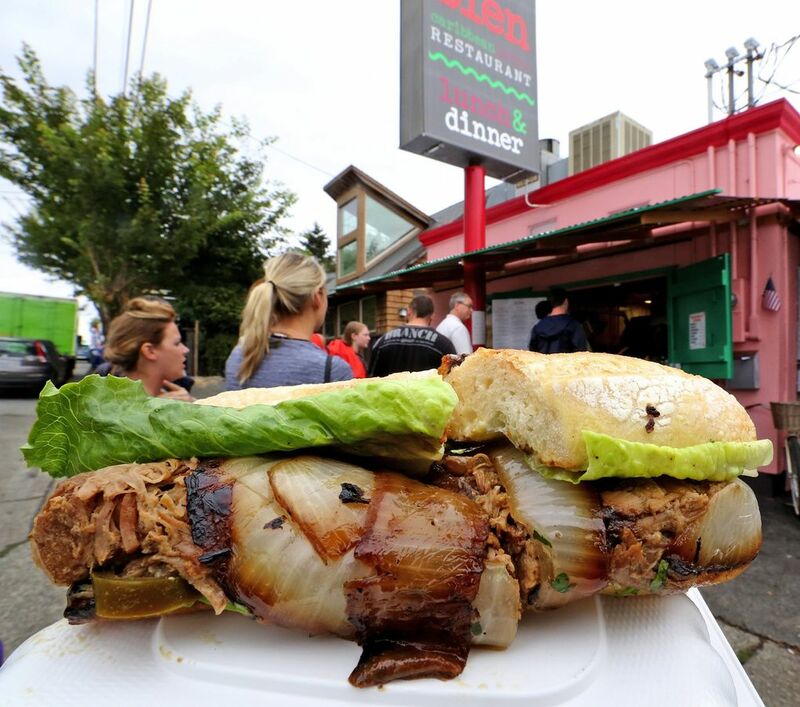 John Sundstrom’s Capitol Hill lunch counter serves gloriously fatty, glistening cuts of meat. To die for: the smoked brisket sandwich, amped up with smoked mayo and seared romaine lettuce, plus pickled jalapeños to cut into the salty, smoky richness. (1201 10th Ave., Seattle, 206-323-5275 or slabsandwich.com) T.V. Located in the back of the dive bar Nacho Borracho, this kitchen from talented young chef Monica Dimas features contemporary takes on tacos and other Mexican street food for the bar hoppers and potheads who frequent (or stumble along) Broadway at night. Dimas also recently opened the counter-service spot Tortas Condesa nearby. (209 Broadway E., Seattle or neontacoseattle.com) T.V. The folks behind Marination expanded to Columbia City with this funky fusion of Hawaiian, Filipino and Chinese cuisines, plus a few other Asian twists such as the highly recommended crunchy Hawaiian chicken wings in char siu sauce and kalbi pork belly musubi. (3714 S. Hudson St., Seattle, 206-420-1201, supersixseattle.com) T.V. 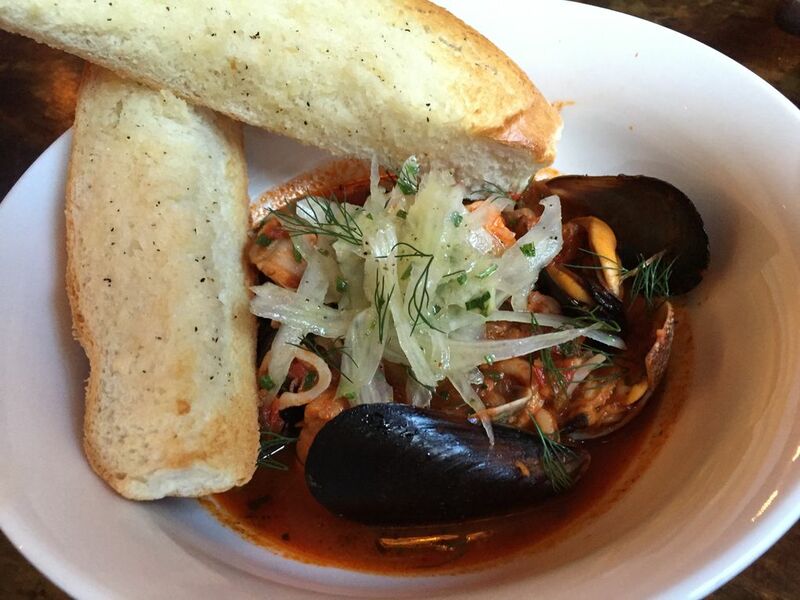 The cioppino at the Faerie Queene is loaded with salmon, shellfish and calamari. Chef/owner Una Kim’s little seafood-focused place has an odd name (from an unfinished Elizabethan epic poem), keeps strange hours (check before you go) and is easy to overlook among Pioneer Square’s more acclaimed options. Nonetheless, it’s a very sweet spot for lunch or a casual dinner date. (90 Yesler Way, Seattle, 206-816-0522 or thefaeriequeene.co). B.J.C. This In-N-Out imitator in the U District might just be as good as the cult-favorite chain, and if not, it’s pretty damn close. One major plus: scooped-to-order boozy milkshakes. Another: the fact that it actually exists in Seattle, while In-N-Out has only made it as far north as Oregon. (4509 University Way N.E., Seattle, (206-420-8199 or caliburger.com/seattle) B.J.C. The daily menu features three or four sandwich options, but the porchetta is what everyone gets: piles of pork belly slices topped with a tangy medley of fennel slaw, pickled onion and aioli to balance the fat-dripping bite. Don’t be confused: Atta Boy is inside the Capitol Hill bar named Bar Sue. (1407 14th Ave., Seattle, 206-328-0888 or facebook.com/thatsoneboy) T.V. Think of it as Uneeda Burger east. Scott Staples, the chef behind that popular Fremont spot as well as Restaurant Zoë and Quinn’s, brings his burger-and-shake concept to Redmond, featuring everything from a $5 basic burger to a bison burger souped-up with truffled crispy potato strings. (7990 Leary Way N.E., Redmond, 425-497-5100 or feedcoburgers.com) T.V. 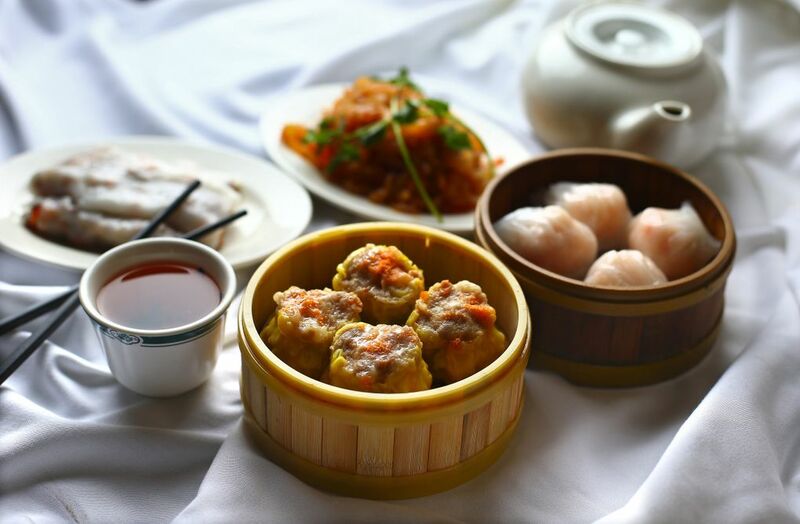 Located in a MLK strip mall, Foo Lam has fluorescent lighting, a modicum of Chinese décor and very good Hong Kong — style dim sum (including unusual dishes like bouncy, noodlelike strips of jellyfish in chili-oil dressing). Service can be brusque, but at these prices, so what? (7101 Martin Luther King Jr. Way S., 206-453-3498 or foolamchinese.com) B.J.C. The couple running this four-table, Lao-and-Thai hole-in-the-wall on Jackson are exceedingly nice, and nothing on the menu is more than $9 (with rice, sticky rice and bottled water gratis). Get the papaya salad, the house-made pork sausage and whatever else sounds good, too — why not? (1017 S. Jackson St., 206-323-1782) B.J.C. Fancy new places are focusing on Korean food (which recently attained “trend” status), but this family-run spot on the curve of Olive Way makes it very tasty, without any fuss. Get a fried egg on top of your hot-stone-bowl bibimbap — it’s free. 1631 E. Olive Way, Seattle, 206-726-0141 or facebook.com/BlueStoneSeattle). B.J.C. Hidden away in the Broadway Alley on Capitol Hill, this homey place is worth finding for its all over Latin America menu. Try the Cubano sandwich; friendly owner Daniel Rosero might bring it to you himself, offering you a beer. (219 Broadway E., Suite 14, Seattle, 206-595-2018 or facebook.com/vacalocaseattlelatinrestaurant) B.J.C.